Well, another year has passed, and despite the fact that I continue to be busy with several other things, I have managed to keep this blog alive, and it even seems to have a growing (albeit still very small) audience. Moving forward, I thought now was a good time to get some updates in. As many of you undoubtedly know, with a new year comes new Sunday school curriculum, this time on the Doctrine and Covenants and ChurchHistory. I’ll also be taking an institute class on Church History this semester, so while I don’t plan on making Church History the focus on the blog, don’t be surprised if this new focus in studies starts to show up in the blog a little bit. I should also mention here that I have made a change in my major. Instead of Political Science, I’ve decided to major in History, something that may further influence the content of this blog more toward Church History issues. 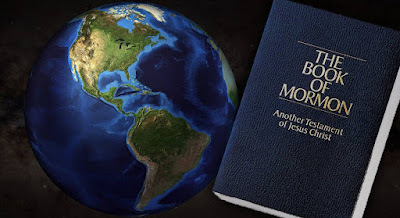 Some recent emphasis on Church history has already been noticeable on this blog in recent months, though I still intend to offer commentary on other matters, including and especially the Book of Mormon and the apologetic issues surrounding it. Well, folks, although I didn’t get anything from my apologetic wish list (since, as I mentioned, none of those things exist), I did get several of the things I had hoped for, many of which will be valuable to me as both an apologist, and simply as a student of the Restored Gospel. So, I thought I would share a little bit, since they will likely have some influence on the future content of this blog. The BYU Book of Mormon Symposium Series: A nine-volume set of the published proceedings of the Book of Mormon Symposiums BYU used to hold back in the late 80s/early 90s. Although not as comprehensive as the commentary I wish existed, it still covers a vast array of topics from a variety of scholars, with a variety of backgrounds. Primarily focused on doctrinal and spiritual matters, it does still include research on historicity and geography and so on. Though I have just barely had anytime to utilize it, I have already made use of it in my Book of Mormon studies and found it quite valuable. I owe a big thank you to my wonderful wife for finding a way to get this for me, even though she insisted all leading up to Christmas that it was outside the budget! Thanks McKall! Mapping Mormonism: Subtitled An Atlas of Latter-day Saint History, this is a handsomely illustrated volume that includes over 500 maps, charts, timelines, etc. which help visualize Church History. An incredibly handy resource for the upcoming year when our study in Sunday School will focus on Church History and the Doctrine and Covenants. Also, much to my surprise, the copy was signed and personalized by editor-in-chief Brandon S. Plewe! A major thanks to both my mother (for getting signed) and my mother-in-law for getting this for me. The Timeline History of Mormonism: A similar volume to the above mentioned one, but as the titles indicate, this one focuses more on when events took place, and on situating LDS history within a broader context of world history; while the Mapping Mormonism volume focuses more on the where of events. This volume is subtitled From Premorality to the Present, emphasizing its broader historical scope. Also, while there is some overlap, each volume focuses in on different sub-topics. So I think it will be extremely useful having both volumes. Thanks on this one goes to my mother for getting this for me. That is all I really got which is relevant to apologetics, so I won’t bore you with the rest of my Christmas list (I’m sure none of you really cared to know what I got in the first place). These tools will, I hope, help me improve the content of this blog, thus hopefully making it an ever more valuable source for others on information related to LDS topics. Speaking of valuable resources, I have been somewhat involved in putting together an index for FAIR that brings together, as comprehensively as imaginable, scholarship and other resources on the Book of Mormon. My own introduction to this new tool can be found on the FAIR Blog. I would encourage others to use it, and help us make it comprehensive by telling us when they find something that is not already included. Hales Swift, a friend of mine living and going to school in the mid-west, deserves the vast majority of credit for this monumental project. With any luck, I hope to have a similar project on the Book of Abraham started before the next semester eats up all my time. That is the sum of the updates for now. As always, I want to thank those who take the time to read my rantings and also those who have helped promote this little hobby of mine. I hope I have proved helpful to some people out there, and I hope that over time people have found that the content of this blog has improved. I plan to continue offer what I hope are valuable and useful thoughts on issues related to LDS topics. (It is evident that I follow Paul’s admonition to the Corinthians to “hopeth all things”). Thanks for reading.